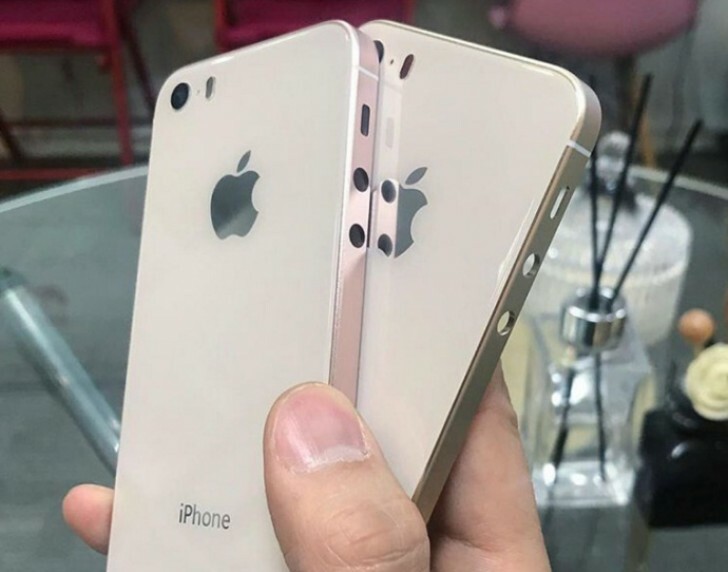 According to a new rumor originating at some unnamed case makers, Apple will launch the long-awaited iPhone SE 2 in May. The name isn't set in stone, however, keep that in mind. The new device will be powered by Apple's A10 Fusion chipset, which made its debut in the iPhone 7 and 7 Plus back in 2016. That would be an upgrade from the original iPhone SE's A9 SoC. In making the new model more 'modern', Apple will remove the 3.5mm headphone jack, although the dimensions of the second-generation SE will be very close, if not identical, to those of its predecessor. The front will be indistinguishable, with the Touch ID sensor still there below the display - no notches or Face ID systems here. There's a chance that the new phone will have a glass back and Qi wireless charging support, as hinted at by the previously leaked images above, but that's not a given. All in all, the iPhone SE 2 looks to be a pretty minor upgrade for Apple's most affordable handset. The way the company is treating it reminds us of the MacBook Air, still its entry-level laptop but which is very rarely updated, and then only on the inside - its design has been exactly the same for many years. if you know how iphone looks from inside, there is no room for bigger battery. may be they add some, instead of 3.5mm jack, but thats about it. Amen to this. We need bigger batteries. iOS is already more efficient to battery consumption from a software and hardware perspective but there's just not enough battery MAH to give it the title of ultimate endurance.